CATS GET 3 ON THE TROT! 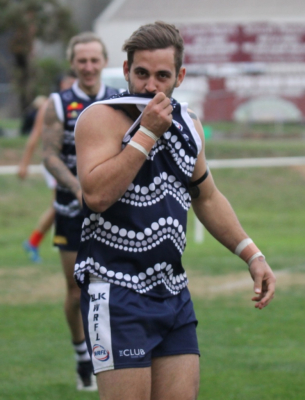 With a big lead up into the clash against St Albans during the week which seen us for the first time wear an Indigenous Guernsey and also playing for the Sweeney Cup in a annual tradition! 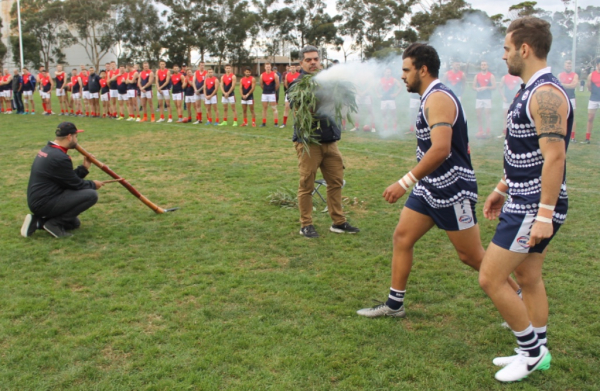 The day started great with the playing of the didgeridoo thanks to Matt Weegberg and also a smoking ceremony thanks to Graham Briggs it really was a highlight of the day! The third term was a bit slower only kicking two goals who both went to James Taylor, never the less our backline held strong and kept St Albans to only 4 goals for the quarter, once again our kicking was a downfall kicking 5 behinds, Nick Weightman was solid coming off the half back flank and lead the charge forward on return from VFL duties with North Ballarat, Chris O'Keefe and Mitch Wilson were once again good through the midfield aswell as Sean Moyle who always manages to find the ball! Into Three Quarter Time we led by 39 points, 11.12.78 to 6.3.39. ​The last quarter had much of the same form as the second booting another 5 goals, another two majors to Paul Milosev gave him 4 for the game, while Kym Taylor got his second for the game and singles to Grantham and Moyle rounded out the goal kickers, It was a great day all round, even better that we claim the Sweeney Cup until we meet again! 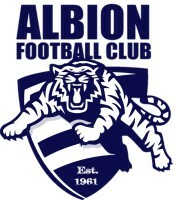 ​ Final scores read Albion 16.16.112 to St Albans 8.5.53 and we ran out 59 point winners! We now move on to this week, which we take on Hoppers Crossing down there! Kym Taylor celebrates one of his goals by kissing his mum's initals. James and Kym Taylor walk out past the smoking ceremony.